HORIBA MIRA’s Anthony Martin, EMC Chief Engineer, considers how vehicle control systems built on machine learning can be verified and why ISO 26262 for functional safety and SAE J3061TM for cyber security hold the key. With machine learning set to take the place of classical “if-then-else” rules for autonomous vehicle control, how will control system integrity be verified? As more control passes from the human driver to machine controllers, simplistic ‘if-then-else’ rule based algorithms are not dynamic enough to cope with the stochastic environment in which autonomous vehicles must safely and securely operate. Decision making will need to mimic the intelligence of the human brain, meaning that machine learning, a sub-set of Artificial Intelligence (AI), is currently the only viable option. But if the safe operation of autonomous vehicles will be in the hands of machines, how will we verify the integrity of their algorithms? This issue is compounded by the fact that autonomous vehicles will be continually ‘learning’ or making adjustments to their algorithms based on the myriad of inputs from their local environment (via sensors), ‘lessons learnt’ via other autonomous vehicles (uploaded to the fleet to correct behavioural issues), and the many remote forms of information that will be made available such as traffic and weather. Thought provoking advertising tells us to imagine a world where work starts when you leave the house, you are free to read emails, write reports, or participate in a conference call. A world where everyone is mobile, whether they are young or old, and all journeys are safe. Where autonomous vehicles are an integral and convenient part of everyone’s life and congestion is a thing of the past. I don’t doubt it; I fully embrace it, and hope that I see it in my lifetime. But as an engineer I have to look through the glossy benefits and get to the nuts and bolts of what is required to realise the change. This is a seismic shift in the direction of transport the like of which has not been seen in the automotive industry since horses were replaced by cars in the early 1900s. It is such a fundamental shift that companies completely unrelated to automotive, let alone transport, are now posing a very real threat to the automotive giants of the past in their quest to revolutionise the future of mobility. This level of disruption was last observed with the advent of the World Wide Web which also offered a hotbed for opportunity and has since made possible and accelerated the world of Information Technology into that which we know today. As the electrification of vehicles has hinged upon battery technology, so the automation of vehicles hinges on machine learning. For the near future, rule based algorithms may be adequate for semi-autonomous vehicles, and even fully autonomous vehicles driven in strongly controlled environments. However, the requirement for machine learning is fast approaching with the desire to have semi-bounded and unbounded autonomy. So what is the history of this key enabling technology? In simple terms, machine learning is a sub-set of AI where a framework algorithm is initially coded within a computer, and then through learning, the computer can modify and optimise its algorithms itself. From its formal conception in the 1950s, machine learning took a steady but slow development path. It wasn’t until the 1990s when machine learning shifted from knowledge-driven learning to data-driven learning that its true potential was realised. Through a data-driven approach, computers are able to draw conclusions or ‘learn’. With the exception of a few breakthroughs, we then have to wait until 2011 for the fruits of huge research and development by major technology giants like Google, Tesla, Facebook, Amazon, Microsoft and IBM to see a significant increase in capability. In 2011 Google Brain used its deep neural network to learn to discover and categorise objects. In 2014 Facebook’s DeepFace demonstrated the ability to recognise and verify individuals in images to the same level as humans. In 2015 Google’s DeepMind showed an unprecedented level of ‘intelligence’ by beating a professional player at the world’s most complex board game, Go, five times out of five. More applicably though, Tesla has implemented an AutoPilot system in their Model S vehicle, and Google’s self-driving cars have been on the streets of a number of cities for some years now. There have been significant strides in the development of the basic algorithms used in machine learning and this coupled with the amount of quality data available has revolutionised machine learning especially in vehicles. Infra-red sensors, Light Detection And Ranging (LiDAR) systems, 360° vision systems, wireless connectivity and many more data sources all combine to provide machine learning algorithms with a wealth of rich information from which to learn, optimise and grow. So the technology is close and we are on the brink of a revolution, but is the industry ready for such a leap? Can some semblance of order be implemented on the stochastic nature of machine learning for such a complex application as autonomous driving? Think of the number of variables in a global environment even if autonomy was bounded to cities only – pedestrians, cyclists, any moveable object (bins, boxes, bags), weather, light conditions, building work, seasonal implications (leaves, high temperatures), etc. All bring with them a number of issues, but together the combinations of issues are incomputable without simplification. 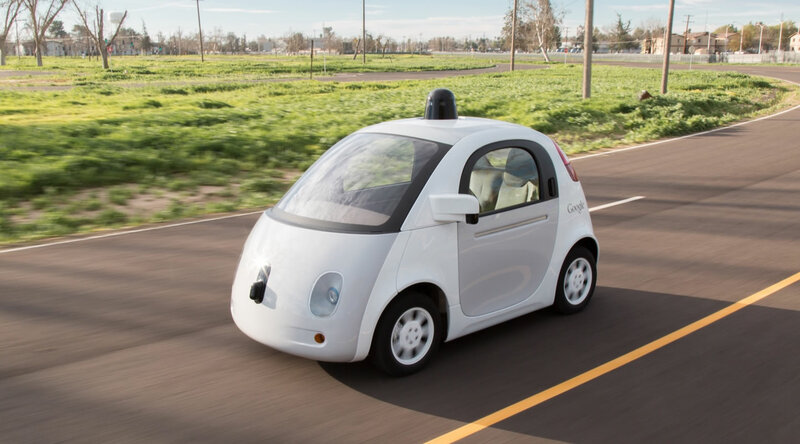 The algorithms required for such an application are currently incomprehensible but, as Google’s self-driving cars are illustrating, they are potentially realisable with suitable machine learning and long-term data input through real-world driving. A more unbounded set of tests are required before the true complexity of the algorithms can start to be fully understood. The issue facing this revolution, however, is product integrity. Safety, security, functionality all combine to give a measure of resilience. But can these aspects be measured, assessed and verified for such a complex system? Currently ISO 26262 for functional safety and SAE J3061TM for cyber security offer the best chance of achieving the high levels of confidence required to engineer vehicles that are safer and more secure. Whilst changes are being implemented to tackle the issues surrounding autonomy and significant work is still required to align the standards, even ISO 26262 Edition 2 scheduled for release in 2018 is unlikely to fully cover the requirements for autonomous vehicles. This is a reflection of the complexity of verifying the safe secure operation of autonomous vehicles rather than any inadequacy in the standards generation process. It is the Engineering Processes within these standards, defining rigorous recommendations and regulations – throughout the product lifecycle from concept to decommissioning – that must be built upon to fully realise resilience for autonomous systems. In this way HORIBA MIRA are providing a risk-driven approach for determining the requirements needed to achieve an acceptable level of safety, security and functionality and the fundamental processes required to verify that those levels have been achieved. In assisting with the generation of key standards, ensuring that they underpin our engineering and test services, and through targeted research, development and investment, HORIBA MIRA will continue to ensure that customers deliver resilient systems and services to market that are safer, more secure, and functional. One’s confidence in autonomous technology is dented by the author of this article repeating paragraph 9 in its entirety as paragraph 10 ! That was this editor’s fault, introduced while making a change requested by the author! Apologies to both Anthony and to readers; the repeated paragraph has now been deleted. I’ve never yet encountered the ‘game-changing’ technology that doesn’t have a downside in its interactions with society. This article has precisely nil to say about the downside; a characteristic that is associated with advertising blurbs. What would make this article well worth reading would be the inclusion of reasoning about liability and insurance; how to carry out run-time V&V (because learning has taken place); how to ensure that what is learnt stays within the Law (else, who goes to gaol?). For example, suppose a Google car learns in Italy a neat manoeuvre to deal with the adventurous characteristics of Italian drivers and transfers this (as the author says) to Google cars in the UK, where we drive on the other side of the road and have different expectations and behaviours? I think the author needs to take a second bite at this particular cherry. Murray, thank you for the questions you have raised regarding the minefield of issues facing engineers that must assess the level of safety, security and functionality of autonomous vehicles. In answer to your question, one of the downsides to the technology is the burden of systems engineering that must be applied to such complex control mechanisms that have severe safety, security and functionality implications for the occupants and pedestrians alike. I’m afraid that liability and insurance will have to be covered in detail by someone else as my expertise is in systems engineering and EMC, not in the legal arena, however, I will say that the burden of safety will rest on the shoulders of far more organisations than with standard (non-autonomous) road vehicles. Organisations providing fleets of autonomous cars, those implementing and running Intelligent Transport Systems such as smart traffic lights, autonomous vehicle control centres, vehicle manufacturers and the manufacturers of the complex control systems may all be liable dependent upon the circumstances. Only through the due diligence of rigorous systems engineering will a level of safety be maintained across all of these areas. This will be extended to the software filters used to decide which data to (left hand drive data), and not to (right hand drive data), use for a specific autonomous vehicle/fleet as per your example. Time and again in this debate, I read of comments and views about these remarkable revolutionary technologies, where the ‘catch-22’ is compliance with the law. But ‘law’ in these circumstances and situations is simply a man-made (or worded if you prefer) convention: which frankly -in these revolutionaly situations- can be altered quite simply. If necessary and required and ‘the people’ need it? That fact that compliance with laws -which for the most part were designed to keep what I have called the RIPs [rich, in place and powerful] in control- in this entirely new technology based situation is the primary ‘stop’ [Think man walking in front of early horse-less carriages waving a red flag?] is surely no longer appropriate. Just change the laws, accept that as with all new technology there will be errors and mistakes and that mankind-in the person of we Engineers will invariably find a way to deal with issues. “Greatest good to greatest number?” -if driver-less electro-powered vehicles comply with such…where is the problem. [The problem is that those who apply the laws can see their absolute and ultimate control of everything going down-hill and fast. Mike, thank you for your comments. At HORIBA MIRA we are watching the laws and standards relating to autonomous vehicles carefully, but at the same time developing rigorous engineering processes to ensure that an acceptable level of safety, security and functionality, are achieved whatever the rules surrounding this technology. “If … Then ..” rules sound infinitely better to me than AI. If there is a sharp bend so that visibility is less than the stopping distance then slow down. If an accident is imminent then brake as hard as possible without losing control. If the car can swerve without injuring anybody, then swerve. Those are the only rules you need. I know that people are designing algorithms that allow the car to choose who it will kill in the event of an accident, but that is abhorrent. They talk about a child running into the road after a ball. Should the car swerve into the car coming the other way, killing the people in that car, to save the child’s life? Get real. A car could recognise a ball and it might be able to recognise a child with a 90% probability, but to expect a computer to work out the motivation for the child going into the road is laughable. Let’s not forget somebody has already killed by a self-driving car, because it couldn’t tell the difference between a white lorry and a cloud in the distance! Whether the child is chasing a ball is significant as is whether the child’s parent is calling them to return to the pavement. When someone steps out in front of you, 99% of the time it is best to just brake. On the 1% of occasions where swerving is better, you need to be absolutely certain whether the pedestrian will continue in the same direction, stop and go back, or freeze, so motivation/mind reading is important. But even if object recognition improves in future and becomes as good as ours, the idea that the car could choose who it kills is unbelievably bad. Imagine you are walking along the pavement, doing nothing wrong when child runs in front of a car and it chooses to kill you, instead of the child. Or some people stagger out of a pub drunk and with impaired judgment, one steps in front of a car and the others follow. The car chooses to kill you rather than several drunks. Some people might argue that lives have been saved. Lives might have been saved on that day, but what about the next day. It would no longer be safer to walk on the pavement that the road. The car is just as likely to kill you if you are on the pavement as walking down the middle of the road. There would be no point in teaching your children to wait at the curb and cross carefully, that would no longer be any safer than just running across. Once you allow cars to choose who they will kill all the rules of the road will go out of the window and the number of road deaths will escalate. Let’s stick to simple “If … Then ..” rules and we’ll all be a lot safer. What about driving in locations which have particular moves unique to that location? For example Melbourne the home of the notorious ‘Hook Turn’. The thing that made me smile about this article was at the beginning where it points out that not having to drive your car means that you can start work earlier, read emails, write reports have meetings. The same is suggested with rail travel, it extends your working hours. This is progress? Automation has already displaced huge sectors of employment in the semi and unskilled ares, without offering any solution as to what the millions of displaced workers across the planet might do with their time, because without money, more leisure is just a fantasy. Most working people today struggle to achieve a work – life balance a self driving car it would seem will not improve that at all, but just be a way of squeezing more work time out of our already hectic lives. Assuming that the problems can truly be solved and the 23 million or so cars replaced with these vehicles in a timely fashion, safety should be massively improved. I know that the aircraft environment is different, but after a much longer development period, pilots are still required. It is also noticeable that pilot error has become a major contributing cause in air accidents, partially I suspect because the control systems of aircraft are so complex these days that pilots can easily misinterpret the data in front of them and also because they have become little more than machine minders for most of the flight time, leading to boredom and mistakes. Driver training will need to be changed completely, and it may actually be that drivers will need to be more rather than less qualified as a result. I am not against this progress, but I wonder where the laws of unintended consequences will take us with this new technology. The time we will gain by not having to drive our cars will hardly be “quality” time. If the justification for these vehicles is safety, is this the best way to improve road safety? I really have to smile at how articles like these seem to bring out the old codger brigade who are anti-anything “new” or “different”. Just “because …” it seems. An exceptional and unusual incident would be seized upon as the potential “worrying norm” (Tesla car confused by unusual background), when the really important stats from this very manufacturer are just completely ignored. For example, Tesla is ALREADY showing it is safer than current drivers. Oh, the horror of conceding to inconvenient new facts! “If it’s not broke, don’t you try be coming ‘ere to fix it, Mr Ford! We’re quite happy with our horses”. Rather than ‘old codgers’ or luddites, I think that most of the commenters to whom you refer are simply suggesting an appropriate degree of caution and a more balanced view of the potential pitfalls as well as the many benefits of autonomous vehicles. You give one example yourself when you mentioned the tragic Tesla accident. It could be argued that this technology enabled the driver to operate the vehicle without monitoring its performance in a situation for which it was not capable of maintaining safe control. If you think that a brightly lit sky is an ‘unusual background’ I can only hope that you are not working on AV control system development.